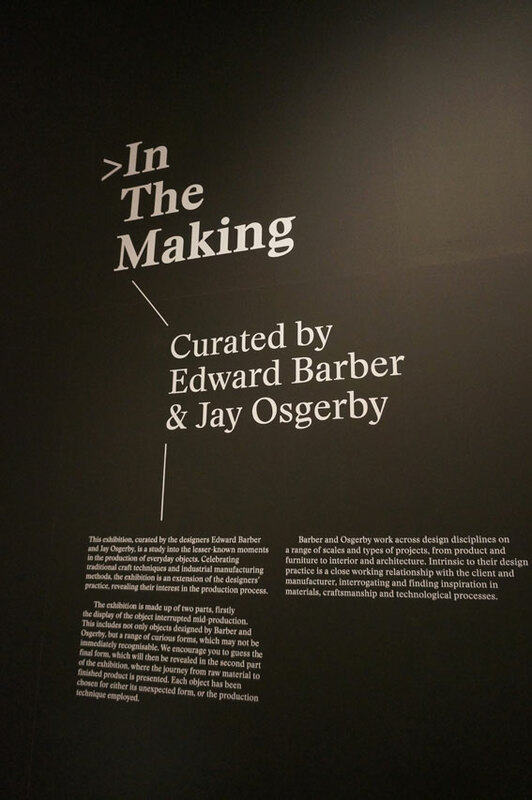 In the Making at London Design Museum is curated by Edward Barber and Jay Osgerby from the critically acclaimed design studio Barber Osgerby. The exhibition is focusing on manufacturing processes revealing the ‘secret life’ of cricket bats, felt hats, shoes, boots, marbles, light bulbs, whistles, pencils, coins, horns, lenses and Olympic torches. Barber & Osbergy paused the manufacturing processes for selected objects to capture them somewhere in the middle of the making. 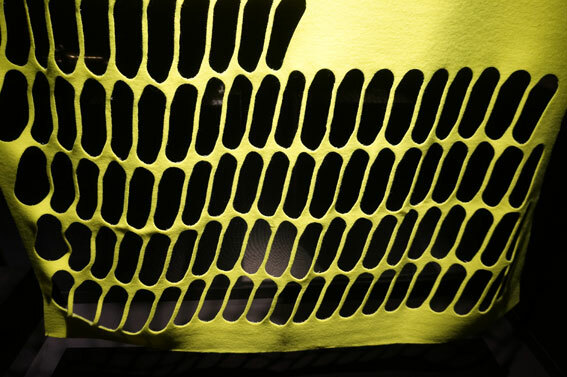 The objects are presented at the exhibition in the unfinished forms to reveal their processes of the making. The criteria when exactly to stop the process was selected based on the beauty value. Also, all objects are made from mono materials, which means that the manufacturing was stopped before combining them to other materials. The aim was to present the beauty of raw materials of these mundane and perhaps forgotten objects. The presentation style is like a still life setting, adding value to the humble everyday objects. 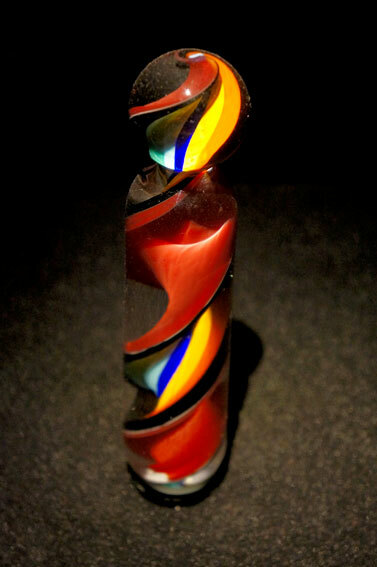 There is a balanced variety of carefully selected different kinds of materials from glass, plastics, wood to stone. The nature of objects vary from sports, household to musical instruments. The exhibition is a rare opportunity to uncover how some very common objects e.g. money are made. It highlights the value of craftsmanship and shows how parts of manufacturing is still done by people using hand work. This work by Minna Takala is licensed under a Creative Commons Attribution-NonCommercial-ShareAlike 3.0 Unported License.